"Greg and I would like to say how much we appreciate your integrity in regards to our cracked window. We have had many compliments on your workmanship and have already handed out your business card to friends. Be assured that we will continue to recommend Jensen Windows in the future. Your staff and workers have been courteous and prompt with any problems we've encountered. We look forward to doing business with you again soon, and again thank you!" Is it time you considered new windows? Tell-tale signs of window failure include condensation between the panes, ice build-up in winter, wood rot, a difficult operation, water damage below the window, and noticeable air leaks. Poor quality replacement windows can fail in as little as one year, so age is not the only factor you need to consider in your decision. Is it time you considered Jensen Windows? Since 1992, Jensen Windows has been installing the highest quality replacement windows in hundreds of homes across the Hamilton, Burlington, Dundas, Stoney Creek and surrounding areas. 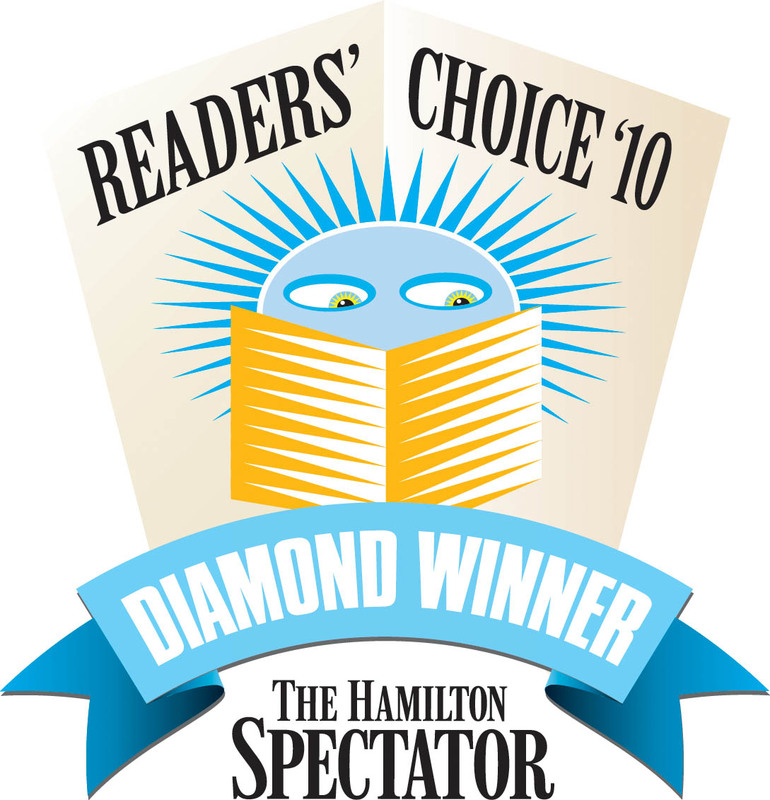 A Gold-level winner in the Best Windows and Doors category of the 2009 Hamilton Spectator Readers’ Choice awards, two awards in the Brabant Newspapers Readers Choice Awards and yearly nominations in the Burlington Post Readers Choice Awards, Jensen Windows is committed to customer satisfaction and treats every job as a custom job. Free, in-home consultation. An educated homeowner makes our job easy. That’s why you’ll never feel pressured by a Jensen Windows sales consultant. At your visit you’ll be taken step-by-step through all the components of a window and will learn what makes a Jensen Windows product and installation a superior choice. We encourage you to contact other window companies for a consultation to confirm you are making an informed decision choosing Jensen Windows. With the questions we’ll teach you to ask, you’ll be able to make an educated choice and feel confident proceeding knowing that at Jensen Windows you are getting a good value for your hard earned money. Quality products. At Jensen Windows, we have carefully chosen our window manufacturers. We only install windows that are made in Canada with virgin materials. We use stainless steel hardware, thick vinyl that will resist warping over the long-term, INEX spacer technology, silicone sealant, and attractive appearances. 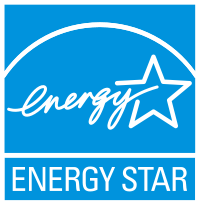 We only install windows that are Energy Star rated that surpass minimum ratings for our climate zone. Jensen Windows installs Vinyl, Aluminium and Wood framed windows. “Frame out” installation. A lot of window replacement companies will perform an “in frame” or retrofit window installation because it is the most economical from their perspective. At Jensen Windows we prefer to remove the entire window frame, so we can get a good look at what’s in the wall and if necessary upgrade the insulation and assess the structural integrity of the wall. A “frame out” installation improves your view; you’ll get more glass in your window because the window is manufactured at a larger size than a retrofit. Since you get new window jambs and casings with a frame out installation, it’s the perfect opportunity to upgrade the look of woodwork surrounding your windows. We will still perform an “in frame” installation at the customer’s request where the homeowner wants to save on the additional cost or where this type of installation makes sense e.g. in heritage and century homes where a frame out installation would damage fine woodwork. Window capping. We complete every window job with attractive exterior aluminum capping in a variety of colours to match your home’s exterior. You’ll never see a face nail on a Jensen Windows capping job. Not only does this create clean lines but no exterior nail holes means no water penetration and an increased risk of wood rot. Awning: Awning windows are hinged at the top and open with a crank. They work well on their own in small spaces like bathrooms and basements or in combination with fixed windows. An awning window can provide ventilation, even during inclement weather. Our Vinyl awning windows slide downwards as they open, allowing for easy cleaning. Bay and Bow: Bay windows have two side windows, each angled outward normally between 30 and 45 degrees, and one main centre window. A bow window brings together four or more individual windows to create a graceful semi-circular projection from a room. Both can be installed in a large window cavity to create additional space in a room. Casement: These windows are hinged on the side and open outward when a crank is turned. They provide good ventilation and unobstructed views through the large expanse of glass. Casement windows can look beautiful when combined with picture windows. Our casement windows slide inwards along a track as they are cranked open, allowing for easy cleaning, and feature a multi-point locking system. Double Hung: A double hung window is the traditional choice of window styles. It features upper and lower window sashes that slide vertically past each other within a single frame, allowing ventilation at both the top and the bottom of the window. Lower the upper sash to send hot air from the ceiling outside. Raise the lower sash to bring cool breezes indoors. Double hung windows tilt inwards for easy cleaning and feature an locking shoe which locks into position at any angle so the window will not fall out of the frame. A spiral balance ensures the window will be easy to operate and the sashes will continue to operate easily for many years to come. Fixed (also known as Picture): These windows do not open at all. They are the most energy efficient and allow for the largest viewing area. Fixed windows are often combined with casement or awning windows for a custom look. Garden: Garden windows create the feeling of a greenhouse in your home. They are traditionally found above a kitchen sink and are used for growing herbs or houseplants, but they can be installed in other locations in your home to fill a room with natural light. Slider: This is our most popular window style. Slider windows operate from side to side and are a good choice in ranch style homes where the room orientation is horizontal rather than vertical. French Slider Tilt windows provides exceptional sight lines and excellent ventilation. Slider windows tilt inwards for easy cleaning and feature an Instalock shoe which locks into position at any angle so the window will not fall out of the frame. This window is also available from Jensen Windows in a three lite slider; all three sashes tilt in for cleaning. Special Shapes: Looking for a gothic arch? An octagonal or round window? A round top, elliptical, triangle or trapezoid? Jensen windows can install a custom shaped window for that special location. Window Options: Between-the-glass grilles and simulated divided lites can replicate the look of a charming century home. Frosted and gluechip glass are great for privacy. Laminated glass helps create a sound barrier and guardian glass reflects more heat for south-facing applications. We have decorative glass in many styles and also carry tinted glass! Choose from a wide range of standard and custom colours for the exterior of the windows and coordinating aluminum capping. Let a Jensen Windows consultant help you with the finishing touches. Call or email sales@jensenwindows.ca for a free in-home consultation. Over the last few years, the door market has been thrown wide open to welcome an unprecedented variety of styles and finishes. From the stunning old world beauty of leaded glass to the Parisian whimsy of wrought iron or the elegant sophistication of a solid door with high-relief moulded panels, it’s never been easier to express your individual style and create a high-impact entrance to your home. Doors come in both steel and fiberglass. Fiberglass can be engineered to replicate the appearance of natural wood. Door glass comes in an astounding variety of patterns and colours to add personality, charm and privacy to an entranceway. Sidelights, transoms, built-in blinds and venting units are available. Energy Star certified and insulated models will help your home feel comfortable as well as look great. We carry over 1400 different Glass styles and over 800 different Sidelite Glass styles. Every installation is done to Jensen Windows’s exacting standards and is covered by a five year workmanship warranty, in addition to the manufacturer’s warranty. Let the outdoors in with beautiful patio or garden doors. Patio doors are an excellent option where limited space means you can’t afford to have a door swing in or out, since patio doors slide horizontally past each other within the frame. They usually have a sliding full-size screen to allow maximum ventilation with minimum insect visits. Garden (or French) doors have a beautiful traditional feel. They are usually a pair of doors with large expanses of glass; typically both doors swing with one main operator. There is also the option of having one side fixed. We have 6 different swing options available. Options include low-E glass; warm edge spacer technology; steel or fiberglass construction; interior grilles; leaded glass; transoms; and internal blinds. Jensen Windows installs garage doors to exacting standards. We always back frame the garage door opening, to ensure that it is structurally sound and square. Exterior frame capping is standard on all garage door installations. We have taken care in the selection of garage door manufacturers, choosing the two we believe offer superior performance at an affordable price. Garaga is a high end Canadian manufacturer of energy efficient and stylish garage doors. Options include 23-, 24- and 26-gauge hot-dipped galvanized steel or 0.60 mm aluminum. Garaga Doors have high pressure injected polyurethane foam, perimeter seals, and a lifetime limited warranty. They are available in multiple colours and styles that range from urban chic to country charm and include optional embellishments like decorative handles, hardware and door knockers. Garaga offers an energy efficient R-16 garage door which is an excellent option for applications where there is a developed space above the garage. Hermann is a European company that has established itself as a global leader in the garage door market, blending energy efficiency and style with a lifetime warranty. From carriage house to ranch style, Hermann’s garage door designs all feature premium track hardware, nylon rollers, a unique FingerGuard profile to eliminate the risk of pinched fingers, a premium bottom weather seal and a polyurethane foam core offering an R-value of 12.4. Advances in materials and consumer demand have led to a recent revolution in the vinyl and aluminum siding markets. Once touted for little more than being maintenance-free, today’s siding is a stylish enhancement to a home that can closely replicate the traditional (and expensive) look of genuine wood. Look for wood grain finishes, deep shadow lines, and even a sculpted, beaded ridge that imparts authentic, old world character to your home. Vinyl siding is dent-resistent, easy to clean, and comes in a wide range of colours and profiles. Aluminum siding is strong, lightweight, ideal for all climates and is well-suited for fancier trims and creative designs. Jensen Windows exclusively installs Gentek siding an industry leader in both the vinyl and aluminum siding markets. Gentek’s vinyl siding is dent resistant, virtually unaffected by harsh weather and–thanks to advances in vinyl colour technology–is fade and peel resistant, even in the darker colour ranges. Its aluminum siding comes in cove, clapboard, vertical board and batten, and vertical ‘v’ styles, in five traditional colours. We love Gentek siding for its comprehensive lifetime warranty. Jensen Windows is a Gentek Premium Renovator, a distinction we earned by demonstrating our commitment to excellence in service, workmanship and professional business ethics. Homeowners replace their soffit and fascia to improve attic ventilation, prevent wood rot, minimize maintenance and keep destructive furry creatures at bay. Properly functioning eavestroughs and downspouts protect a home’s foundation and basement from water damage. We install standard 5 inch seamless troughs and downspouts to minimize the chance of overflow during serious storm events. Jensen Windows can also install the Alu-rex gutter clean system to reduce the need for seasonal maintenance on new or existing eavestrough. This can be a particularly smart investment for multi-storey homes, where using tall ladders can make cleaning gutters an unpleasant and even dangerous task, and for busy families, where seasonal home maintenance never seems to make it to the top of the priority list. Shutters were used centuries ago as a way to shade and protect a home from the elements, but are used today primarily to enhance a home’s appearance. Shutters evoke a period style, create a dramatic focal point and augment other exterior design elements. Jensen Windows installs vinyl and aluminum window shutters from three major manufacturers, but can source other suppliers for your custom project. Suntown is a Canadian manufacturer and distributor of aluminum and vinyl shutters. Closed-louvered style aluminium shutters are available in over 40 standard colours in widths from 8 to 21 ½ inches and lengths from 18 inches to 18 feet. Vinyl shutters come in a variety of appealing styles, including louvered, raised-panel, board and batten, and an arched, gothic style that unites the raised panel and louvered look. Dinesol Building Products, located in Michigan, manufactures long-lasting, maintenance-free shutters from a durable copolymer material. Choose from 14 preferred colours, widths from 9 to 18 inches, and lengths from 31 to 80 inches. Styles include traditional open-louvered, colonial raised-panel and standard board and batten. Mid-America Products manufactures no- maintenance vinyl shutters in a range of styles, colours and sizes to maximize the curb appeal of your home. Choose from louvered, raised panel, and board and batten styles, or combine a louvered and raised panel shutter for a custom look. Straight top and cathedral styles are available. For a special touch, add a rounded, elliptical or transom shutter top to the top of the standard rectangular shutter style. Jensen Windows consultants are happy to assist homeowners with their choice of shutter style and colour. Simply call or email sales@jensenwindows.com for a free home consultation. Phantom Screens are manufactured in Canada and are the perfect solution to many of your screening problems. They can be used in applications such as Decorative Entry Doors, Double French Doors, Outswing doors, Windows or simply for sunscreening. Phantom screens retract into a spring loaded chamber allowing for an unobstructed view when not in use. They absorb impacts without sagging or tearing and come in a wide variety of colours to match your decor. Phantom screens carry a lifetime manufacturers warranty backed by the leading brand in the retractable screen industry.